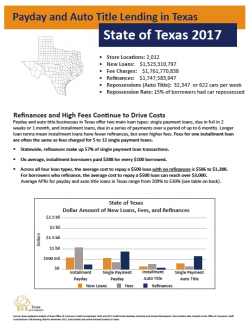 Learn about market trends and how much these loans cost statewide and in communities across Texas. Please contact us if you do not see your area listed below. The 2017 figures are the latest full year of data available.